In lieu of flowers memorial donations may be made to Disabled Veterans and left at the funeral home. Donald Leon Capps, of El Dorado Springs, Missouri, died on Thursday, June 19, 2014, at his home. He was born January 7, 1929, to Benjamin Harrison Capps and Jesse Adamson Capps in Vernon County, Missouri. Don was the fifth of six brothers born to the Capps family. His father, Ben, was a sharecropper, horse-trader, farmer, logger and pub owner; his mother was a homemaker. The family survived the depression by hunting, fishing, farming- doing whatever it took to put food on the table. The older Capps boys had developed quite a reputation of being some of the strongest, toughest, hardest working young men in southwestern Missouri, spending many a long day (and night) performing backbreaking work at their father’s sawmill. After a brief move to California, the family returned to Vernon County and Don attended a country school where he and his brother Frosty walked to school every day. He attended High School in Nevada, Missouri, where he played baseball, basketball, football and ran track. Don also met Lola Maxine Freeland, whom he would later marry on July 1, 1950. 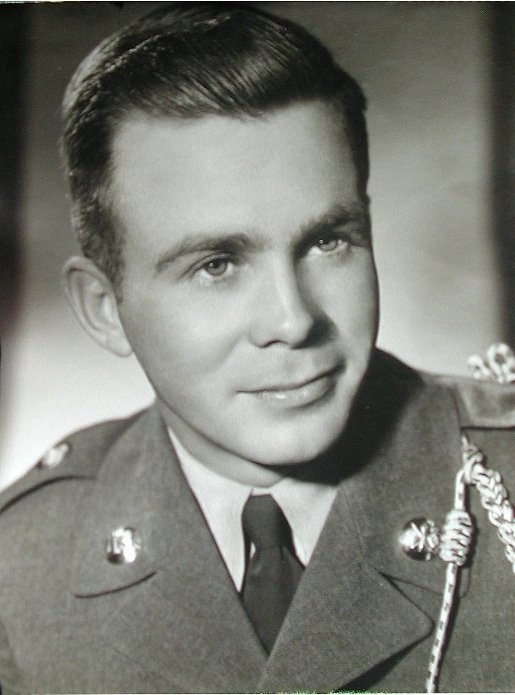 He was drafted into the Army in 1952 and for the next 18 months, was stationed in Germany. Don returned home from the Army in 1954 and began working for Cappell Supply Company in Nevada, Missouri. He played on local baseball teams and was offered the opportunity to become a part of the St. Louis Browns, a Farm Team, due to his high batting average but chose not to leave home again. On April 15, 1957, he and Maxine welcomed a daughter, Carol Lea, and a little over a year later, welcomed a son, David Lee, on September 17, 1958. In 1962, the Capps became members of The Church of Jesus Christ of Latter Day Saints and Don served in many capacities within the church among them being, a High Priest in the Priesthood, a Sunday School teacher and a co-director with Maxine of the Family History Center. In 1963, the Capps moved to El Dorado Springs, Missouri, and Don went to work for Producers Grain Company. He later decided to start his own business, Don Capps and Son Plumbing and Heating. On June 6, 1984, son David welcomed a son of his own, David Leon Capps, who instantly became the apple of his grandparents’ eyes. On June 10, 1989, Don and Maxine were sealed together as husband and wife for time and eternity in the Dallas, Texas Temple. Maxine passed on April 15, 2006, and Don was lost without her. Since high school, they had rarely spent any time apart except for his time in the Army. Don has always been an honest, hardworking man who certainly spoke his mind. He had a great smile and a quick sense of humor but detested unfairness and would definitely let you know when he felt that was happening. Don also had a hard time dealing with increased costs of living and would frequently debate with local businessmen over the price of a nail. Don worked until the day he died splitting firewood, making cedar, walnut and cherry wood boxes and gardening. Most of the women in the businesses he patronized and the women at church all received one of his wooden box creations. Don also enjoyed watching baseball on television, especially the St. Louis Cardinals. He also enjoyed Kansas City Chiefs Football, strawberry shakes, Three Musketeers candy bars, the RFD channel and especially The Marty Stuart Show. Don is preceded in death by his parents, Benjamin Harrison Capps and Jessie Adamson Capps; four brothers, Ralph Capps, Willard “Butch” Capps, Clarence Capps and Harold Capps. Surviving are one brother, Benjamin Harrison Capps, Jr. “Frosty” and wife Judy of Joplin, Missouri; a daughter, Carol Capps Ward of Springfield, Missouri; a son, David Lee Capps, of El Dorado Springs, Missouri; a grandson, David Leon Capps, and his wife, Heather of Independence, Missouri; three great grandchildren, Bailey, Brenden and Jalen Adam, of Springfield, Missouri; two cousins, Jean Loving and Dean Capps of Nevada, Missouri, and a host of nieces and nephews and friends. Visitation will be held at Bland-Hackleman Funeral Home on Wednesday, June 25, 2014, from 6 to 7 P.M. Funeral Services with be held at the funeral home on Thursday, June 26 at 10:00 A.M. Interment will follow in the Virgil City Cemetery under the direction of Bland-Hackleman Funeral Home. Don’s sweet spirit will be sorely missed.